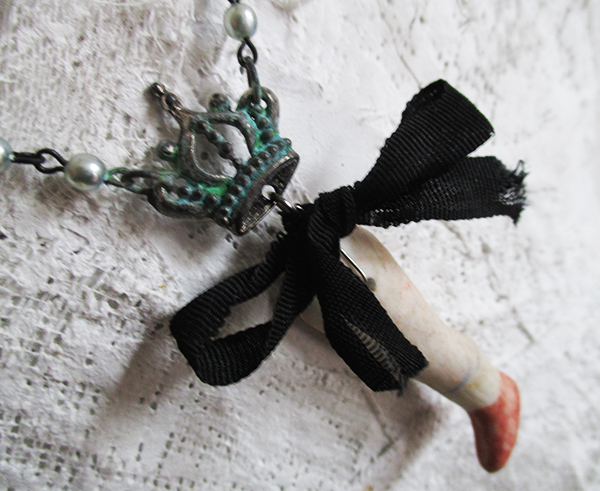 To the great frustration of her mother the Queen, her playful desire to cause trouble often found the Princess dismembering her dollies… fashioning them into necklaces and other fripperies. 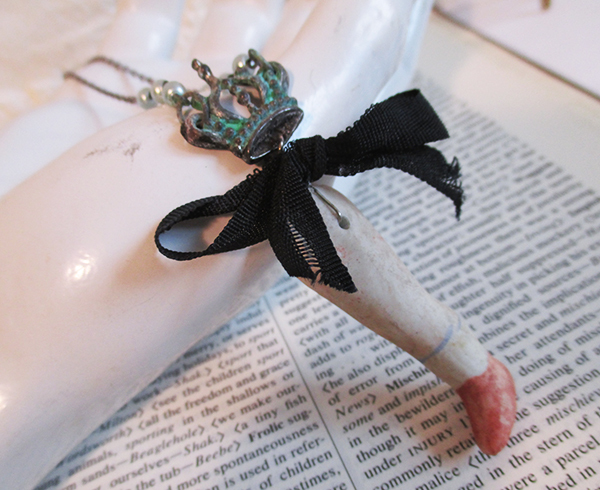 Delightful and wickedly sweet necklace brings together an ancient ceramic doll leg (with a little painted shoe! 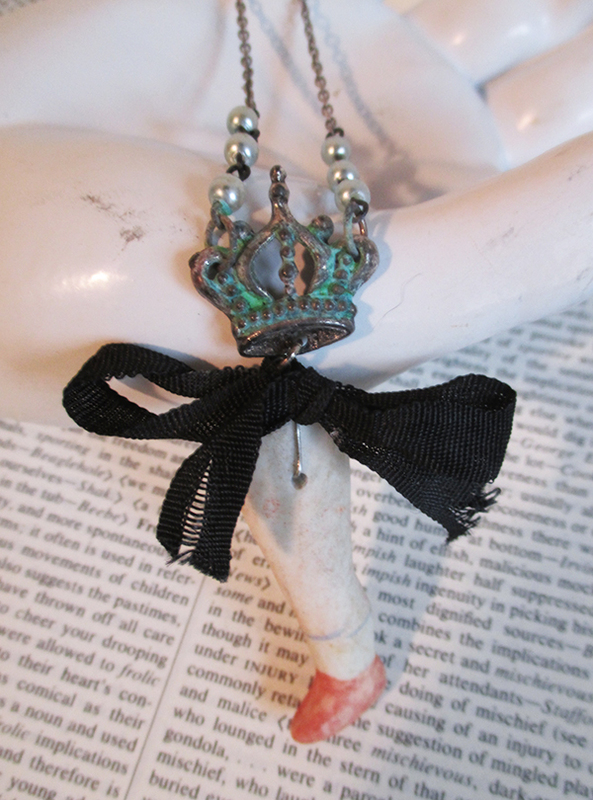 ), a tattered bit of black mourning ribbon and a lovingly aged verdigris crown charm. 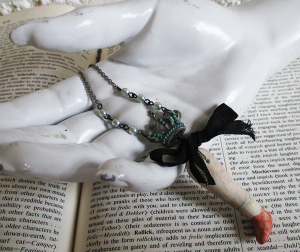 Delicate glass pearl rosary chain in a pale gray-blue adds a mystical touch. 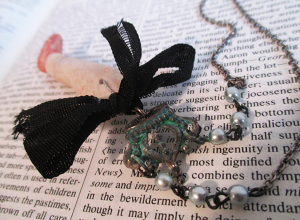 I think you could get into a bit of mischief in this gothic little piece.